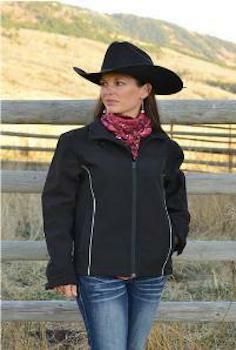 Although we are no longer stocking Wyoming Trader's clothing, we will still special order any item from Wyoming Traders. 25% GROUP DISCOUNT BY SPECIAL ORDER! NO RETURNS!! 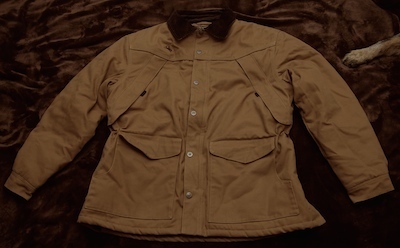 Wyoming Traders Canvas Ranch Coat 12 Ounce 100% Cotton Soft Canvas Shell Water Resistant Soft Polyester Fleece Lining Adjustable Snap Cuffs Reversible YKK Zipper Storm Flap with 7 Sturdy Metal Snaps Drawstring Waist Dark Brown Corduroy Collar Machine Washable. Now Available in Tall M-XXXL $110.00!! 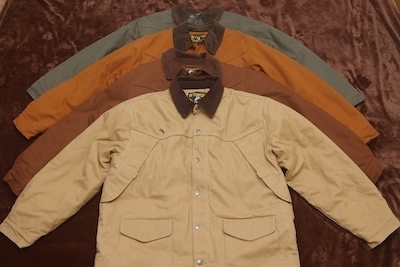 Wyoming Traders 3-way Western Winter Parka These jackets are very well made, versatile, and have a great western style! Adjustable Velcro wrists. Hidden Hood w/drawstring in collar. Reversible YKK Zipper on the shell, Regular YKK Zipper on the inner jacket, and the Shell and Inner Jacket zip together with their individual YKK Zippers. Storm Flap on Shell has 6 Sturdy Metal Snaps. The inner jacket is filled with heavy 85% down & 15% feather, constructed with nylon micro fiber material that down cannot escape from. The outer shell is teslon which is breathable, waterproof, brush resistant and the seams are sealed. Drawstring Waist. The outer shell can be worn as a great rain jacket or both worn together as a warm, weatherproof parka. Total of 12 pockets: 6 on the outside of the shell and 2 on the inside of the shell, 2 on the outside of the inner jacket and 2 on the inside of the inner jacket. 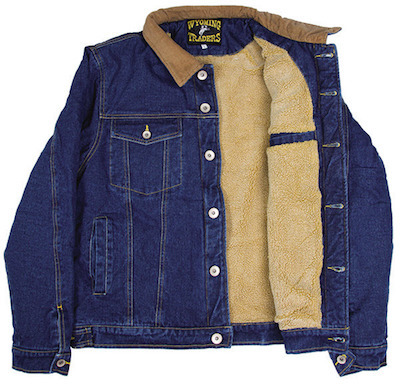 Kakadu Microwax for waterproofing oilskin garments. *Must be heated to use.